or, Why is It Always so Easy to Eat Our Young? In the last couple of weeks I have observed two of the more exciting open source initiatives around — the bibliographic and research citation plug-in Zotero from George Mason University&apos;s Center for History and New Media (CHnM) and the semantic Web efforts from MIT&apos;s Simile program — juggle some really interesting problems that result from academic institutions committing to and promoting open source projects. Both cases have caused me to raise my appreciation for the efforts involved. Both cases have caused me to temper my expectations from the programs. And both cases perhaps offer some lessons and cautions for others considering entering the bazaar. Zotero, though still quite young as a project, is tackling a pragmatic issue of citation and research management of interest to virtually every academic and researcher. While capable commercial bibliographic and citation software has existed for many years, there remains much pent-up interest in the community regarding features, standards and ease-of-use. This common need, plus the laudable initial efforts of the project itself, have led to quick adoption and community scrutiny. Such promise generates excitement and early evangelists. 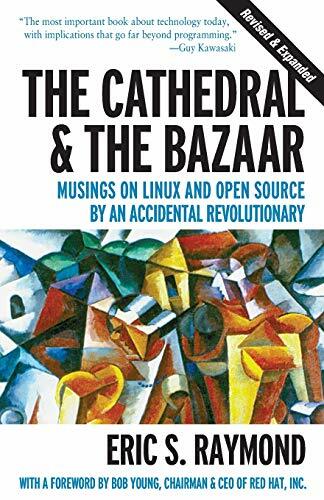 One of those evangelists, however, frustrated with the pace and degree of responsiveness from the program, went public with a call to better embrace Raymond’s “bazaar” aspects of open source (see this reference and its comments). That, in turn, with its comments, spurred another response from one of the Zotero team leaders speaking unofficially called Cathedrals and Bazaars, also in reference to Raymond’s treatise. Now, granted, this is not my community and I am a total outsider, but there is, I feel, a dynamic here at work that I believe deserves broader attention. Let me get to that in a moment, after citing another example . . . .
As any casual reader of my blog has observed, I have been touting MIT&apos;s Simile program for the past couple of weeks (they’ve actually deserved the praise for years, but I just had not been aware of them). As part of my interest and involvement, I took the unusual steps for me of joining the project’s mailing list, downloading code, writing to systems, blogging about it, participating on the mailing list, and other atypical efforts. Because of some recent innovations from the program I have discussed elsewhere (in fact more than once), there has been a real spike of interest in the program and general scrutiny and activity from many others besides me. Like George Mason, MIT is of course an educational research institution committed to training new intellectual leaders and moving their fields forward. Both institutions are doing so with pragmatic and (at times) cutting-edge tools, all offered in the spirit of open source and community involvement. This is not unusual within the academic community, but, on the other hand, is not common, and most often is not done well with respect to real, usable software. Both of these programs do it well. Committing to this involvement is not trivial. There are wikis providing documentation; there are forums at which ideas get spun and new users get answers; there are blogs to inform the (growing, burgeoning) community of future plans and directions, and (oh, by the way), there are real jobs like teaching, committee involvement, thesis writing, and the real aspects of being either a professor or student. Meanwhile, if your project is successful within the broader community, those very same forums and blogs and wikis become the venue for any Internet user to request information, assistance, criticisms or new features. To that point, within the MIT program, the shorthand over the past days in dealing with requests for new features has been a call to a mythical “army of programmers.” Right on . . . . This software has, in fact, been developed largely on graduate assistant time and salaries (if such) from a very few individuals. So, yes, with openness and a successful offering comes the old Chinese curse, and not enough time in the day. People such as me — not a part of the community but looking globally for answers — jump onto these projects with glee and focus: We’re seeing some really cutting edge stuff being developed by the brightest in their fields! Non-participants from within the community see these efforts and may like (perhaps, even envy) what they see, and may also want to help in the spirit of their communities. 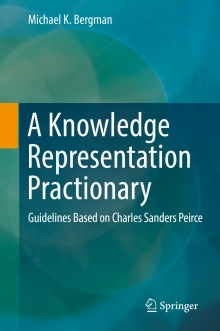 If the project is compelling, the result, of course, is attention, scrutiny and demands. Excitement and interest drives the engine. Promise is now evident, and all who have seen it feel a part of the eventual success of the dream — even though not all (especially all of those on the outside whether academics or not) are in a position to make that dream come real. And most do not truly appreciate what it has taken to get the project to its current point. There is a real excitement to goosing the tiger. There is also so much effort to even get close to doing so that few (except those on the inside) can appreciate. The people on the Zotero and Simile projects (and the many like them) know the long hours; are posting answers on forums at 3 am; are patient with the newbies; are struggling with project demands that have nothing at all to do with tenure or getting their degrees; and are juggling a myriad of other demands like families and spouses and other interests. Yet, that being said, since these fortunate few hold the batons of visible, successful projects at the top of the power curve, I actually don’t truly feel sorry for them. My real point for those of us that constitute the vast majority of outsiders is to be realistic about what we can expect from open source projects run by essentially graduate student labor or, if via paid staff, ones that are likely understaffed and underpaid (though clearly committed) and overworked. Watching these two exemplary programs has been educational — in the true sense of the word — but also instructive in what it takes to conduct an open source and “open kimono” initiative. I have managed many large-scale, multi-year software projects, but only one in academia and none open source. Any professional software development manager would be amazed at what it now takes to be successful in this arena. You need, first, of course, to develop the software. That has its standard challenges, but is not so easy within an academic setting since the components themselves need to be best-of-breed, open source, and cutting edge. The project itself may need to be thesis-worthy. Though not imperative, the project choice should be of broad community interest, rightfully anticipating potential job prospects for participating students. Then, the code needs to be magically produced. (I find it truly amazing how many non-coders so cavalierly look to major software projects and apparently dismiss the person-years of efforts already embedded in the code.) Finally, and most difficultly, the resulting software must be posted as open source, with all of the attendant community demands that imposes. In fact, it is this last requirement that is often the hidden, frozen banana. Time — of course, all of this takes time, often robbed from other priorities. Grace — it is likely not comfortable for many to open themselves up to the involvement and scrutiny of an open source initiative. Outsiders bring many passions, motivations. levels of knowledge and sophistication; and some see the promise or excitement and want to truly become part of the internal community. Juggling these disparate forces takes an awful lot of grace and patience. Anyone who tackles this job has my admiration . . . . I am an omnivore for finding new, exciting projects. I have specific aims in mind, and they are (generally) different than what is motivating the specific project developers. Of the many hundreds of projects I have investigated, I think these two are among the best, but for different reasons and with different strengths. The Zotero project, though early in the process, has all of the traits to be an exemplar in terms of documentation, professionalism, openness and active outreach to its communities. I take the criticisms from some in the community (motivated, I believe, by good will) to be a result of possible frustrations regarding pent-up needs and expectations, rather than the project’s poor execution or arrogance. I think posing the discussion as the dialectic of the cathedral v. the bazaar is silly and does the project and its sponsors a disservice. What looks to be going on is simply the real-world of the open-source sausage factory in the face of constraints. As for Simile, we are seeing true innovation being conducted in real time in the open. And while some of these innovations have practical applications today, many are still cutting edge and not fully vetted. With the program’s stated aims of addressing emerging computer science challenges, this tension will remain and is healthy. Criticisms of the Simile efforts as “research programming”, I think, miss the boat. If you want to know what is going to be in your browser or influencing your Internet experience a few years hence, look to Simile (among others). Now that my spree of global searching for software ideas is somewhat winding down, I am truly taken with the sea change that open source and its spur to innovation is bringing to us. Costs are declining, barriers to entry are lowering, time to completion is shortening, ideas and innovations are blossoming, interoperability is improving, and our world is changing — and for the better. Zotero and Simile are amongst the young that deserve to be nurtured, not eaten. You refer to me as an “evangelist” in your post, but I’m a developer of a spec that the Zotero team is using. As I’ve explained, my call for greater communication from them is because the lack of it makes my work more difficult. Your characterization of my argument as “silly” is a little unfair, I think.